Brazos Valley Flight Services - Flight Training - LEARN TO FLY! If this is your first time flying in a small aircraft, the best way to get started is to schedule a Introductory Flight by calling our front desk. Feel free to ask any questions, we will be glad to help you in making this experience as fun and enjoyable as it should be. For novices or those who need a refresher, BVFS also recommends the Aviation 101 primer course. In addition, you can also just come to meet us at our office! We will be glad to show you our facilities and offer you an airplane walk-around to check out our aircraft. If you have a few hours under your belt or you are a seasoned aviator, then we recommend scheduling an introductory meeting with one of our qualified instructors to make a training plan that is right for your needs. Our fleet is made of the best trainers the industry can offer, based on Cessna 172SP aircraft. These excellent aircraft meet and exceed all the training needs to get you from Student Pilot to Private Pilot and beyond. After your Private certificate, you can continue with an Instrument Rating to learn to fly when the weather is not so great. If you want to make aviation your career, then BVFS will help you through your Commercial Pilot certificate and all the way to Flight Instructor. We have a Piper Cherokee Arrow PA-28R retractable gear aircraft necessary to obtain the Commercial and Flight Instructor certificates. This is just a quick introduction to all the possibilities that aviation can offer. Come visit us to learn more! The Student Pilot Certificate is the first step to full certification; all pilots must obtain one. It is required to fly “solo” and earn the aeronautical experience necessary to get the Private Pilot (or Sport Pilot) certificate. In most cases, your instructor will guide you through the application process at the beginning of your training. This certificate has, initially, several limitations: you must be endorsed by the instructor to fly “solo” (once you have enough experience), cannot carry passengers, cannot fly at night, and are limited to fly at or near your home base. Some of these limitations will be removed by instructor endorsements, at the right time, while you get closer to your goal. There is more to the story: begin your training to learn all the details! The Sport Pilot Certificate has been introduced recently to serve the needs of those who want to fly mainly in good weather, using a Light Sport Aircraft (LSA), for fun, and often with one flying companion. Also, operationg an LSA as a Sport Pilot does not require an FAA Medical. A valid U.S. driver’s license is sufficient, provided there are no disqualifying medical conditions. 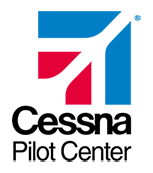 More in depth details about the Sport Pilot Certificate are also available at this AOPA web page. Be at least 17 years old (at the time of certification). Hold at least a third class medical, or hold a current and valid U.S. driver’s license. The Private Pilot Certificate is an initial certificate because it is the one most pilots get at the beginning of their certification journey. However, it offers a lot of flexibility. For most pilots, this is all they need to enjoy the benefits of flight and General Aviation. A Private Pilot can fly most single-engine aircraft, go virtually anywhere, and reach practically any public-use airport in the country. This is is a Visual Flight Rules (VFR) certificate, so the weather must be good enough to know where to go visually (instructors call this Pilotage). With a Private Pilot certificate, our great State of Texas becomes much smaller and accessible. The Instrument Rating opens up the highways of the sky by allowing rated pilots to fly using Instrument Flight Rules (IFR). When ceilings are too low, or clouds reduce visibility, VFR flight may no longer be possible. The instrument rating will not only make you a better pilot but will also expand your ability to complete most of your planned flights safely and legally. Learn how to get in and out of the “system,” to have the confidence of being able to execute your planned flights in a much wider array of weather conditions. The Commercial Pilot Certificate allows you to fly for hire, i.e. you become a professional pilot. Some of the activities a Commercial Pilot can be compensated to do include: aerial photography, charter flying (see also 14 CFR part 135), repositioning aircraft, banner towing, pipeline inspection, and many other related activities. In addition, this certificate is meant to make you a “master” of the aircraft, as you learn to fly with great confidence and precision, by learning all the details of the aircraft and its flight environment. Finally, it is a fundamental pre-requisite to becoming a flight instructor (CFI) and an Airline Transport Pilot (ATP). Teach others how to fly, introduce people to the world of aviation, bring them all the way from novice to the advanced ratings and jumpstart your professional pilot career. Get your CFI, CFI-I, AGI, IGI certificates with BVFS, so you can experience flight training at its best and learn how to share your outstanding flying skills with others. Questions? Many general questions are answered in our FAQ on the home page. Also look at our cost estimates below. If your question is not already answered here, E-mail us at info@bvfs.net or call our office. We look forward to hearing from you! Below you can find some cost estimates for common training scenarios. These are based on an expected, or average number of hours actually needed to obtain that certificate, based on our experience. We have done this because we value transparency and clear communication with our customers, unlike some others in this industry. Your actual costs may be different because in these estimates we must make some assumptions on the customer’s training performance and past history. We have generated these estimates to be accurate and thus including a number of items that you will not find in competitors’ estimates. So, as usual, buyer beware: if you compare our estimates with the competition, make sure they are including all the costs and not just trying to lure you in. In the end, we are confident you will choose to train with BVFS because we offer the greatest value at a lower price.